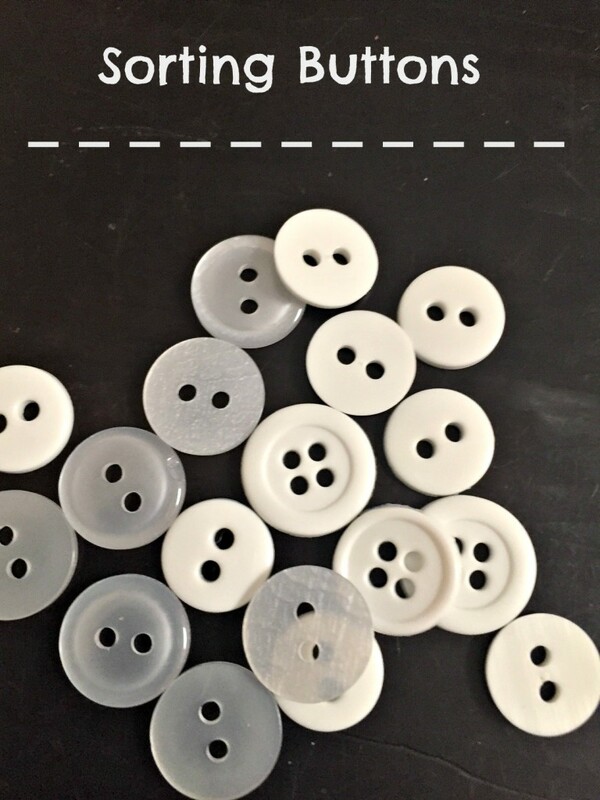 I grabbed one of those mixed bags of white buttons from the craft store, and while it was a cheaper option, it has been a pain to sort out the buttons. Maybe it is just my perfectionist tendencies popping out, but I wanted all the buttons of my bracelet to match. The kids not so much, they didn’t really care if the buttons were all the same size, or the same design. Then once I had them sorted, I laid them out in the order that I wanted to string them. While the girls ones looked adorable being a mismatch of buttons; and honestly more like something that you would get a whimsy happy store. Mine though, I wanted something more symmetrical. After you have everything laid out the way that you are wanting, go ahead and string them together. I did a simple over/under style. But you can get as fancy as you are wanting. (My four year old left them at this stage) Now to make things way easier you can use a needle and thread the string that way. Or you can tape up one of the ends. Personally, I went with the tape route, I didn’t trust my kids with a sewing needle. But the call is for you to make. All that is left is to thread in some ribbon. We couldn’t choose between a solid green with white stitching or a green with white polka dots. It is that easy. Plus then you are wearing something green, you won’t have to worry about being pinched. What are your thoughts here? Do you like button bracelets? What about mixing the ribbon in with them? Is this something that you would wear for St. Patty’s Day? Let me know your thoughts on them. What a great idea. 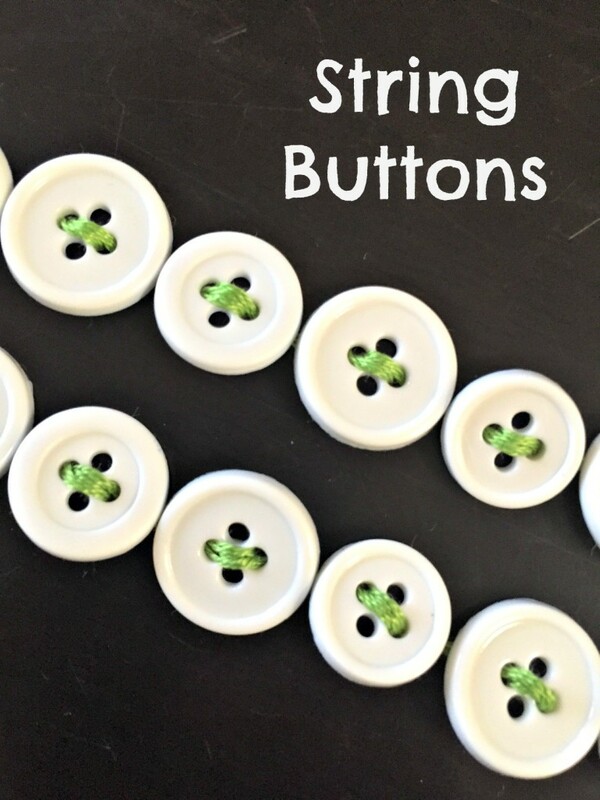 You can make them for the whole family and everyone will be wearing green! Awesome and creative idea! Thanks for sharing! That is what we did!! Daddy had a one without the ribbon though, made it a little more manly lol. And you can also make them in any other color, so my girls have ones to match all their outfits. Let me know how they turn out for you. This bracelet turned out so cute! 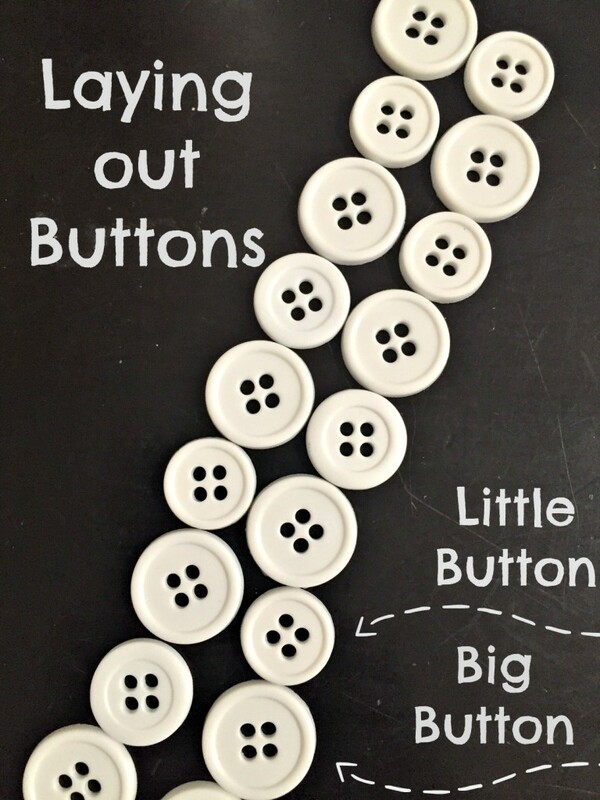 I love buttons and have a collection I could use to make one of these. Thanks for the great idea! Right? And you can do them in any color. My girls have made them in every color of the rainbow and then some. Let me know how they turn out for you. 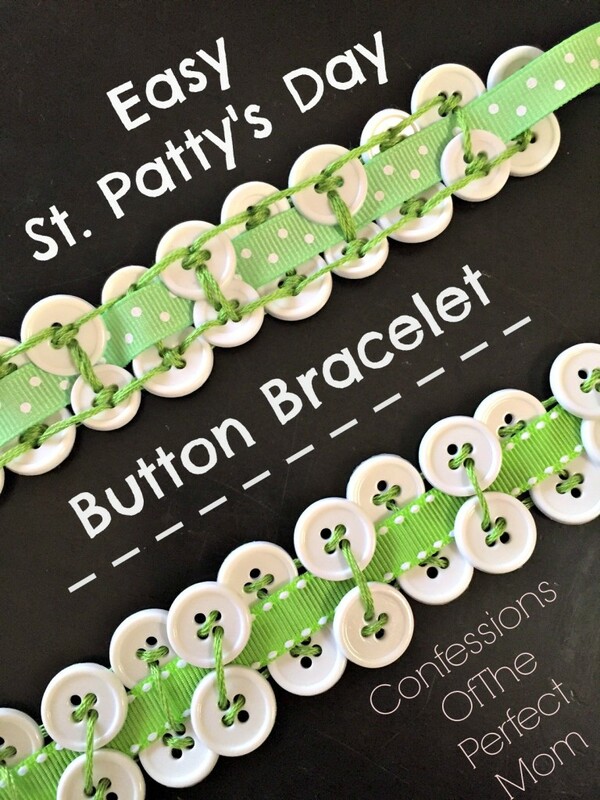 What a cute bracelet you made for St. Patricks Day!